Developments in information and communication technologies have raised the issue of the intergenerational digital divide that can take place between “digital natives” and “digital immigrants”. 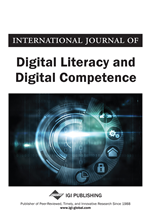 Despite emphatic claims concerning how educational systems must take into account the specific characteristics of “digital natives”, sound empirical research on these topics is lacking, especially for Europe. This paper presents the results of research performed during the course of 2008, studying how university students in Italy use digital technologies. The research is based on a survey of 1086 undergraduate students at the University of Milan-Bicocca, complemented by focus groups and in-depth interviews. The results of our research show that, even if university students are familiar with digital technologies, the general possession of high level skills in accessing and using the Internet should not be taken for granted. It has become sort of a common sense to think that the new generations of students, that are currently entering into the school system, present some characteristics that contribute to make them completely different from their parents. This has to be reconnected, as it is well known, to the fact that the accelerated rate of technological progress is deeply changing our world. The “Net generation” (Tapscott, 1998) indeed, is the first generation to grow up in a world where the presence of things such as personal computers, mobile devices, the World Wide Web and so on does not represent “something new”, but is part of the normal, everyday life. In a couple of well known papers, Mark Prensky (2001a, 2001b) referred to the generation born after 1980 by defining them as “digital natives”, as they are all “native speakers” of the digital language of computers, video games and the Internet” (Prensky, 2001a, p. 1). The diffusion of new digital technologies was defined by Prensky as a singularity – an event that introduces so great a discontinuity with the past that no coming back is possible. Educational systems throughout the world urge to find a way to cope with this type of change: “... the single biggest problem facing education today is that our Digital Immigrant instructors, who speak an outdated language (that of the pre-digital age), are struggling to teach a population that speaks an entirely new language” (Prensky, 2001a, p. 2). Following Prensky, the intergenerational divide that separate digital natives from “digital immigrants” (i.e., all those people who did not grow up in a digital world, but still embrace many aspects of it in their work and their everyday life) has become a popular subject for discussion, not only in the scholarly literature (Gaston, 2006; Long, 2005; McHale, 2005), but also on mass media (1).